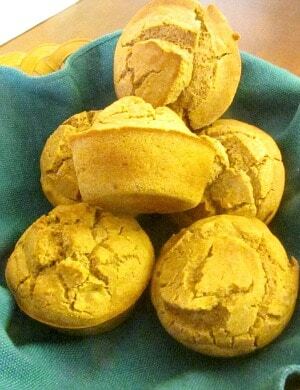 Gluten Free Gingerbread Muffins.They’re sugar free, also, with a touch of sweetness from apples and tang from teff flour. I’m not trying the rolled cookies – gingerbread men – yet. There’s a whole texture thing that is a reaction of the flour, sugar and butter working together there (and I never was really good at those cookies to begin with!) But there is also the cake sort of gingerbread… and, really, there are gingerbread flavored things… and it seemed wise to start with something with which I was already comfortable – like muffins. 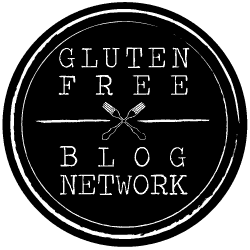 Now, the fun part of learning about gluten free baking, for me, has been learning about all these other grains and flours I never used. I feel as if I’ve been so limited all my life! It’s as if I’d just learned that peas and carrots are not the only vegetables! 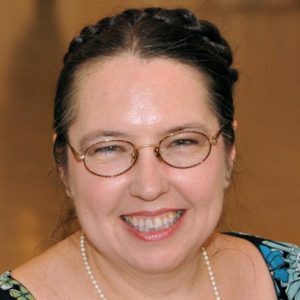 Understand – there really is a valid and important place for the gluten free all purpose flour mixtures… Most people are not experimental bakers who play with new recipes as a hobby (and are willing to have them fail… that part matters.) 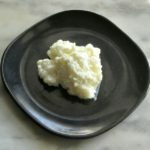 Most people just want to bake a birthday cake, or some semblance of their mom’s Christmas cookies that they’ve made every year as long as they remember (and which are the only cookies they ever bake…) And they shouldn’t have to experiment their way through pounds of five different flours to do that. But I’m in a different place. And I’d love to share the results of my experiments with you. I’d heard a lot about teff. 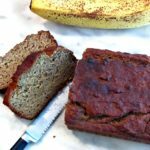 For one thing, it is one of the grains that actually has been used to make a traditional bread – and I find they work well in baked goods (hardly surprising!) 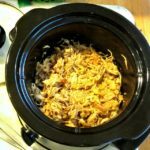 But it has a distinct, somewhat tangy, flavor of its own, so you can’t just toss it in willy nilly – you have to use it where that flavor is an asset, not a detriment. I’ve heard very good things about teff in chocolate cake… which led me to wonder how it would work in spice cake.Or gluten free gingerbread muffins. See – gingerbread gets its flavor from the spice mix, of course, but also from molasses, which also has a distinct, somewhat tangy flavor… as well as sweet, of course. So teff seemed like a real possibility. I still did want a little sweet, though… Applesauce? I sometimes make my own, but I can also, these days, buy unsweetened applesauce… I decided to buy it, to ensure a consistent moisture level developing the recipe. Basically, classic muffin technique. Preheat the oven to 425°. 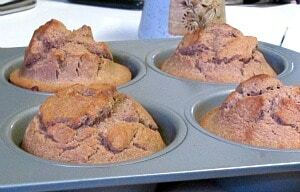 Grease a 6 cup muffin tin. Mix the dry ingredients in one bowl – One hundred grams each of millet (my go-to basic gf flour) and teff flour, 2 teaspoons of the spice blend, and one of baking powder. And a pinch of salt… Stir them well, so they are thoroughly mixed. And if you want, then stir in half a cup of broken walnuts, so they are all covered in flour. Then, in a larger bowl, beat an egg. 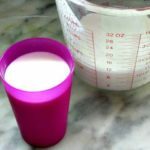 Add liquid – I used a quarter of a cup of applesauce and three quarters of milk. 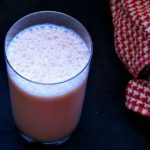 I suspect you could increase the applesauce to half a cup and decrease the milk to the same, and it would still work, and be sweeter, though have a more distinct apple flavor. This proportion was enough for me, with just the hint of sweet to set off the spices. I also beat in two tablespoons of a neutral oil. I have always found it works best to add the dry ingredients to the wet – that avoids awkward pockets of flour at the bottom of the bowl when you thought you’d stirred well enough (but were in a rush, maybe?) So I mixed the two together. Now, this is where you see one of the cool things about teff – the batter has this slightly viscous quality. That’s what makes it all hold together, so the muffins are cakey, not crumbly, without any kind of binder (or even my ubiquitous masa harina) and helps get a lovely rise. But these – especially with walnuts and cream cheese! Sweet enough, for my taste, not too sweet to eat with bean soup for lunch. My first recipe with teff flour is a success! 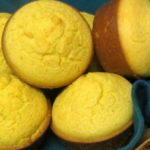 These won’t replace corn muffins for me – those are just too easy and basic – but they’re everyday – this will be an easy treat. 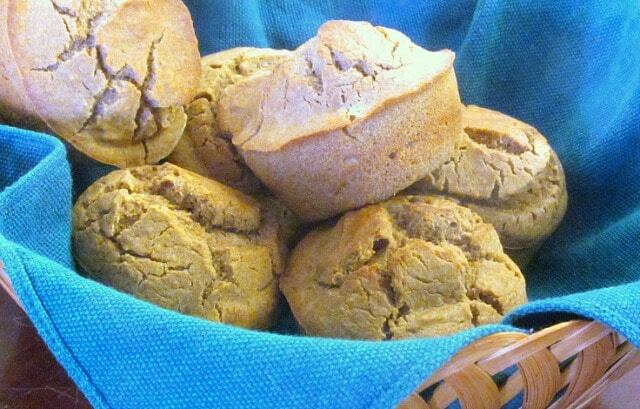 Gluten Free Gingerbread Muffins - sugar free, also, with a touch of sweetness from apples and tang from teff flour. 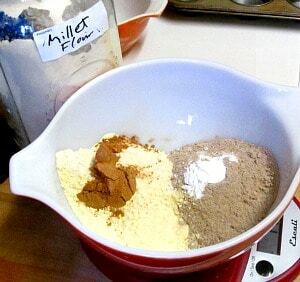 Stir teff and millet flours, spice blend, baking powder, and salt together in a bowl. 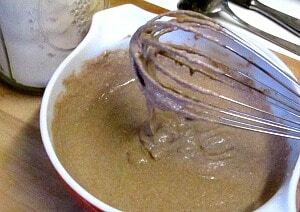 Add nuts if desired, stir to coat with flour mixture. Beat egg. Add applesauce, milk, and oil, and beat well. Stir liquid ingredients into dry, and stir to mix. 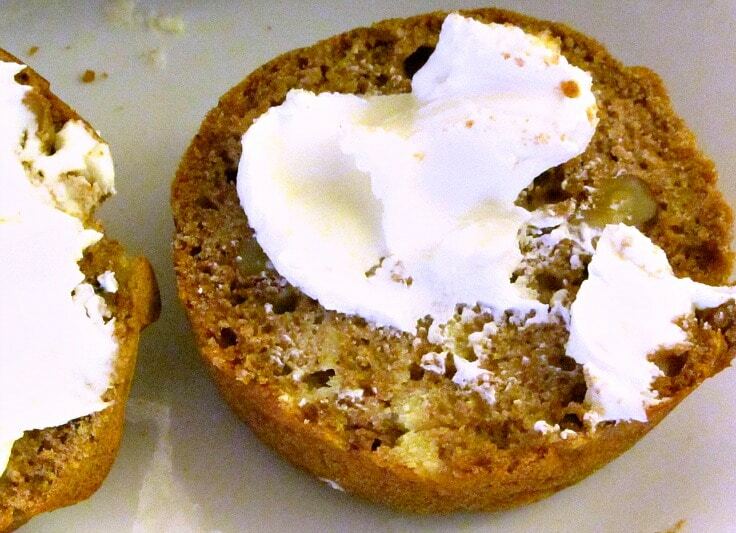 Pour batter into greased 6-cup muffin tin. Bake at 425 for 20 minutes. 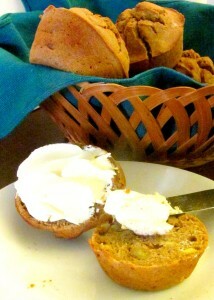 Good with butter, luxurious with cream cheese. Thank you! This or the gingerbread waffles... Haven't yet decided which I'm going to have myself!